Every dollar you give matters! Check-out this picture and hundreds of others from last summer's camp sessions. grow and develop into healthy individuals who positively impact the world in which they live. We exist to create communities of grace everywhere God leads. Click on the picture above to explore the calendar and descriptions for summer camp sessions. Click on the picture above to learn more about the theme for Summer 2019 camp sessions. 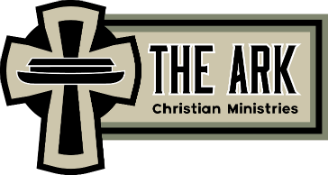 Click on the picture above to explore volunteer opportunities at THE ARK.